Smith Boys Buffalo Harbor Inc.
Take Exit 8 to Niagara St.
Take Exit 7 to Church St. The Erie Basin Marina Closes October 15th 2018 for the season. 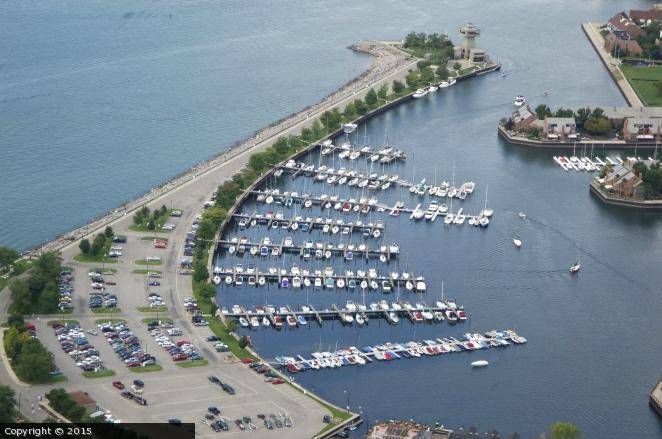 Welcome to the Erie Basin Marina, Buffalo's Premier Waterfront destination. Smith Boys the original operator of the Erie Basin Marina features only the finest names in boating and has been selling Sea Ray since 1970 and we are among the few named as a master dealer. We also sell Malibu ski boats, Bayliner, Boston Whaler, Crestliner, Harris Flotebote, Lowe, Meridian, Carolina Skiff, and Berkshire pontoons boats. With seven store across the state in Chautauqua Lake, Buffalo, Rochester, Conesus Lake, Canandaiqua Lake, Syracuse, and our newest store in Lake George clearly makes us the largest around. Being the largest also means we have the largest selection of new and preowned and brokered boats available. Visit our online store for a great selection of parts and accessories. We do not allow swimming in the basin due to Electric Shock Drowning. It is also against our code of conduct. If you witness someone doing this please notify our security guard at (716) 851-6505. I can’t believe that I have to remind our boaters that this is illegal. We have a pump out at the gas dock for this purpose. Please use it. We highly suggest that you tie to the welded rings on your dock. Use the cleats as a secondary attachment point. Due to the age of the wood that the cleats are attached to the metal rings are much stronger. We do not have enough reserved slip holders parking spaces on busy days. The City of Buffalo allows our security guards to ticket ($60.00) illegally parked vehicles. It is much easier for the security guards to see your hang tag if you are backed in. Please help us here. We received another batch of the small round fobs that go on your key ring. These can be purchased at the office for $15.00.